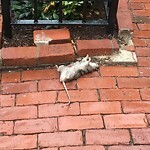 Rodent ran across Madeline street and through the yard in back of house! Yard is on Madeline Street. 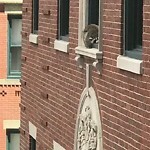 Raccoon is stuck on 3rd floor windowsill and cant get down.